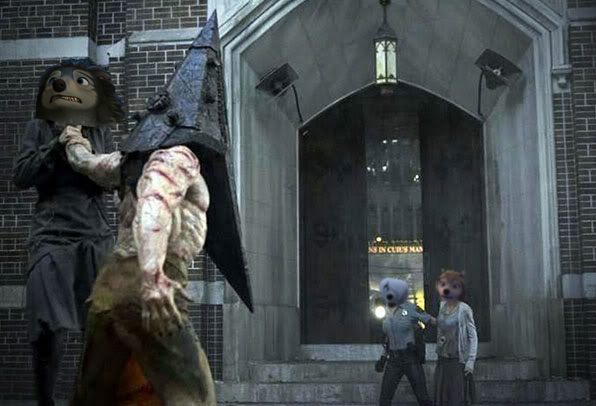 Kate and Lilly Meet Pyramid Head. . Wallpaper and background images in the আলফা ও ওমেগা club. This আলফা ও ওমেগা fan art contains রাস্তায়, শহর দৃশ্য, and শহুরে. There might also be abattoir, butchery, shambles, and slaughterhouse.